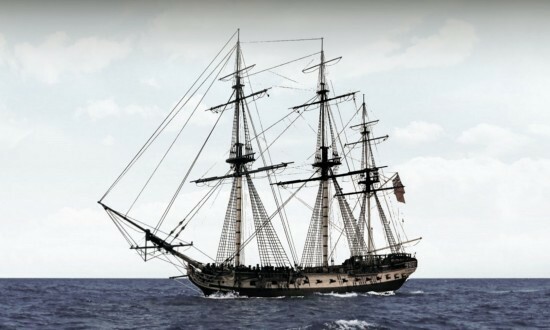 Ordering a model ship from the Art of Age of Sail. My clients come from all walks of life and from all around the globe. Whether tasked to re-engineer an historic vessel, or to create a smaller version of your yacht or sailboat, I will custom build your fine quality model as a one-off custom project, closely following your wishes and preferences. You will also be kept informed on the progress through updates and images of the progress of your model. Most of my clients enjoy this interactive process almost as much as the final result. Delivery times can vary greatly, depending on the scope and complexity of the project. I normally use UPS for insured shipping. However we will also ship with FedEx, DHL or any other courier of your choice or preference. Insurance for your shipment may however not be available with all couriers. Whether it is a complex long term project for your historic society, museum or yacht brokerage, or a time sensitive birthday present, please do not hesitate to contact me for any questions, concerns or requests you may have. I'm looking very much forward to hearing from you and building you a fine and treasured model.